Posted on May 30, 2016 at 6:00 pm. If there’s one thing I noticed, America is really proud of their military. I don’t think it is mostly about patriotism on their part but giving respect and due to those who served for their country. America invested a lot on their military technology and it follows that it pours through their people. Those in the military, past and present, gets benefits like considerable discounts at establishments to family perks. 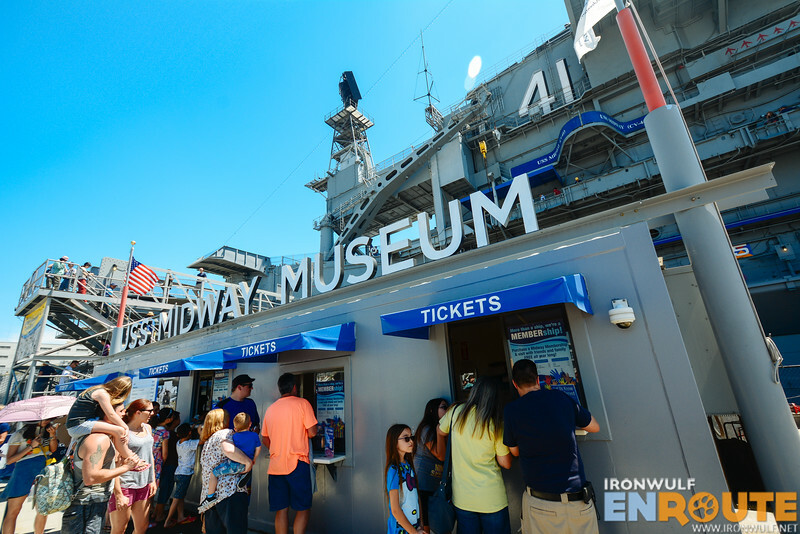 In my visit to the USA, my brother-in-law, suggested I visit the USS Midway Museum in San Diego. I wasn’t surprised really. To know America is to know its military. Besides, it would be interesting to see the now decommissioned USS Midway (CV–41) aircraft carrier which used to be the largest ship in the world until 1955. It even made its way to the Philippines after its deployment. I enjoy the drive from Vista to San Diego being new in the state. The traffic scheme here is organized, quite a contrast from chaotic Manila. I’m sure US drivers would be culture shocked when they take on our streets. But nonetheless, the cities aren’t spared from traffic especially at peak hours. 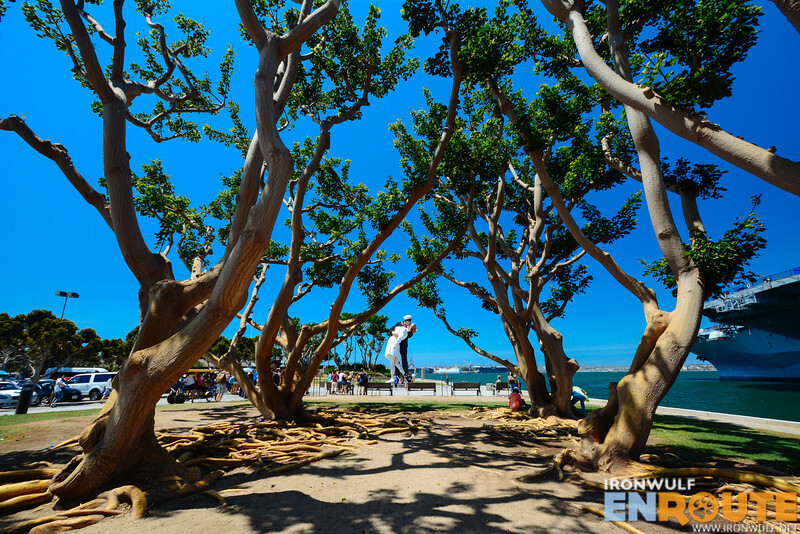 We walked at the boulevard along North Harbor drive. It was interesting to see a lot of Americans running mid-day, under the heat of the sun. Probably for them, the tan would be appealing or it makes productive time try to squeeze in some activity during lunch break. I also like how they made efforts to make public utilities more presentable like the restrooms in the boulevard. I did notice that most of the public restrooms doesn’t have mirrors. I was told some thugs would break them so they just don’t put mirrors on those places anymore. I’m glad to have seen San Diego with my own eyes now. An all too familiar city I kept hearing about simply because there’s a large community of Filipinos living here aside from the Mexicans and Vietnamese. Fact, a lot of my relatives are here too. We decided to have a little fun and rented a tandem bike with roof shade to pedal around the street harbor. Our route was to the Tuna Harbor Park. Named after San Diego’s commercial fishing industry, the park has excellent vantage point to view the San Diego Port activities. 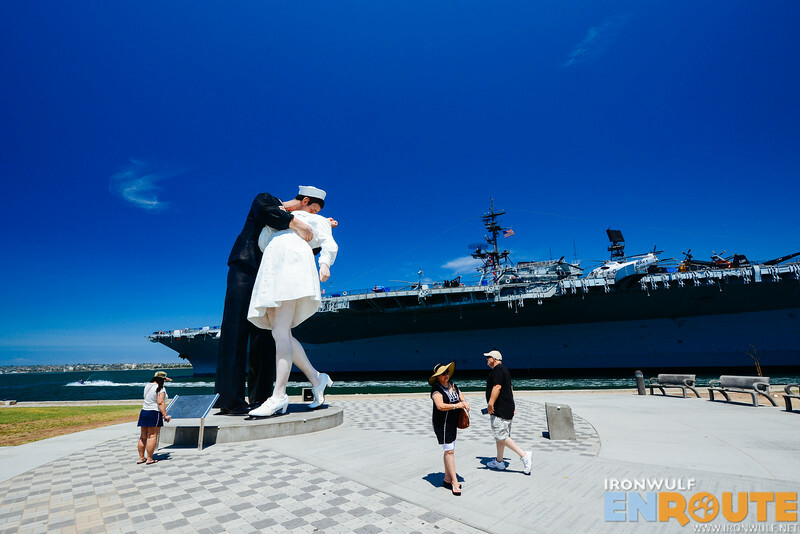 One landmark that stood out in the park among the many sculptures in the area was the installation called Unconditional Surrender, a 25-foot sculpture made of styrofoam by Seward Johnson. The sculpture was based on a photograph by Victor Jorgensen of two strangers kissing on V-J Day in Times Square (Victory over Japan Day). It definitely was amusing to feel so small beside this gigantic statue. 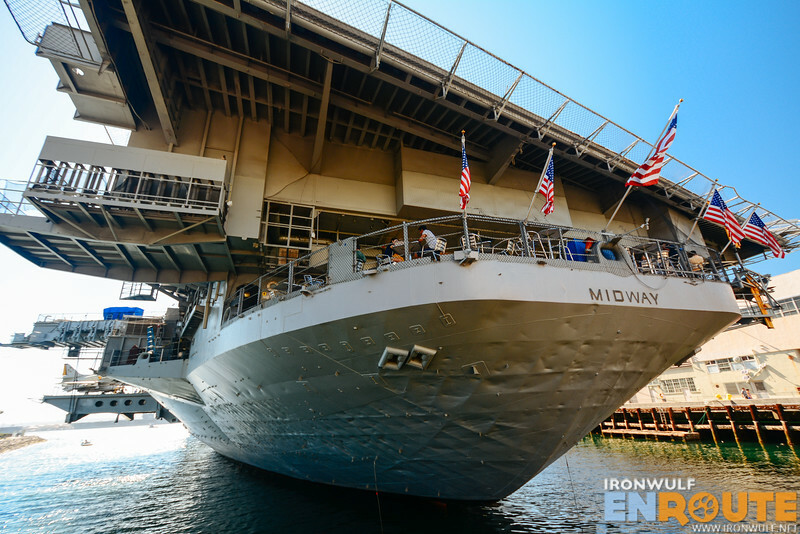 Its location is so appropriate being near another behemoth of a vessel, the USS Midway. 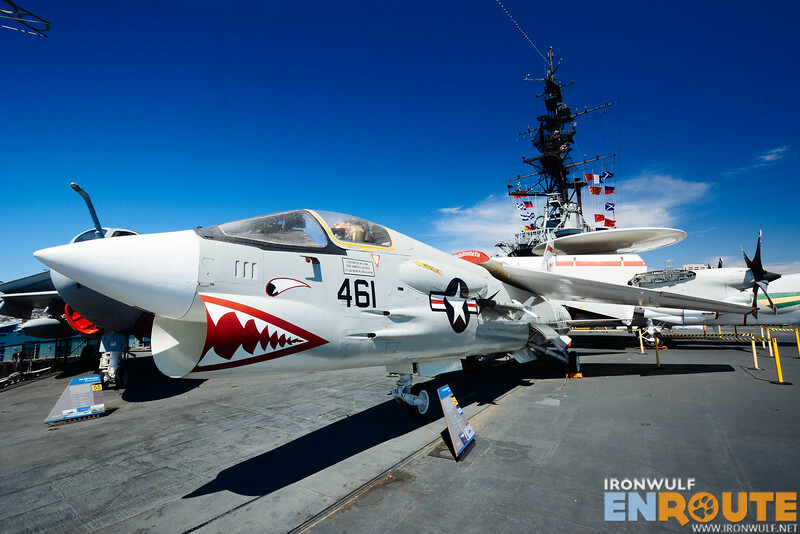 If one is fond of warships, jet planes, helicopters and all things military, the USS Midway Museum is like an adult disneyland. 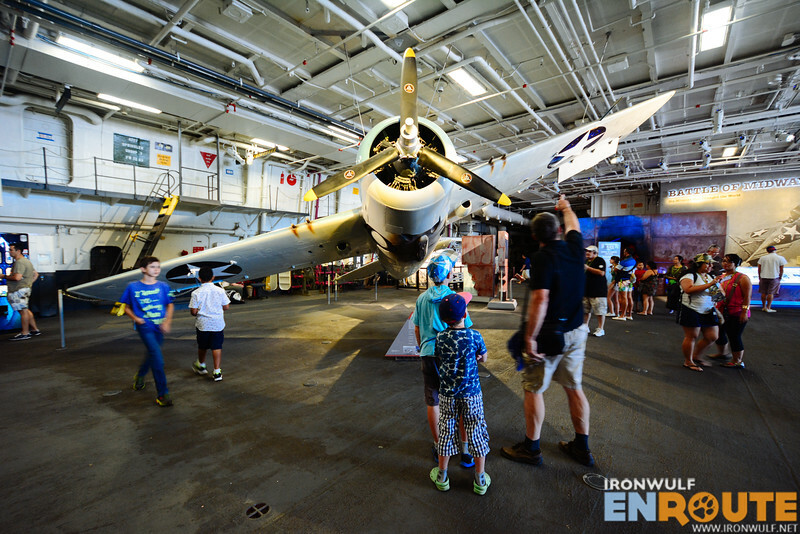 Boarding the USS Midway Museum can be overwhelming as there is so much to see. 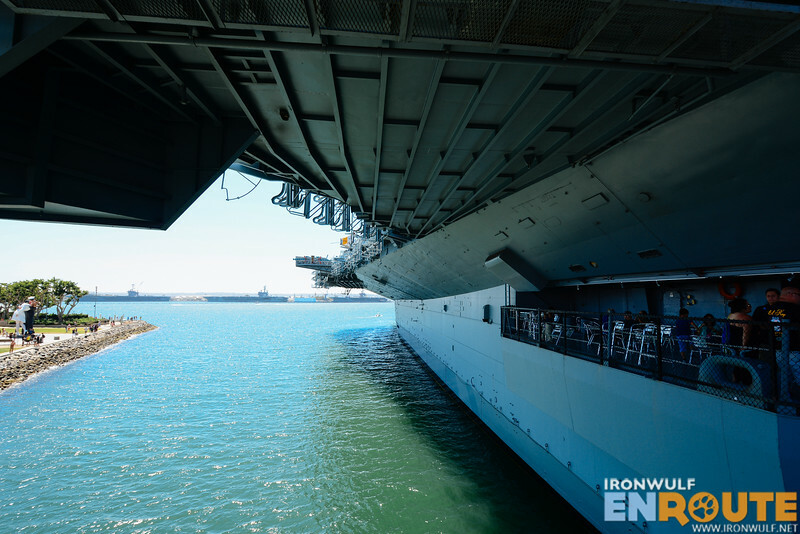 USS Midway was considered a City at Sea where it has its own ecosystem. A living community. It was the longest-serving aircraft in America (1945–1992). 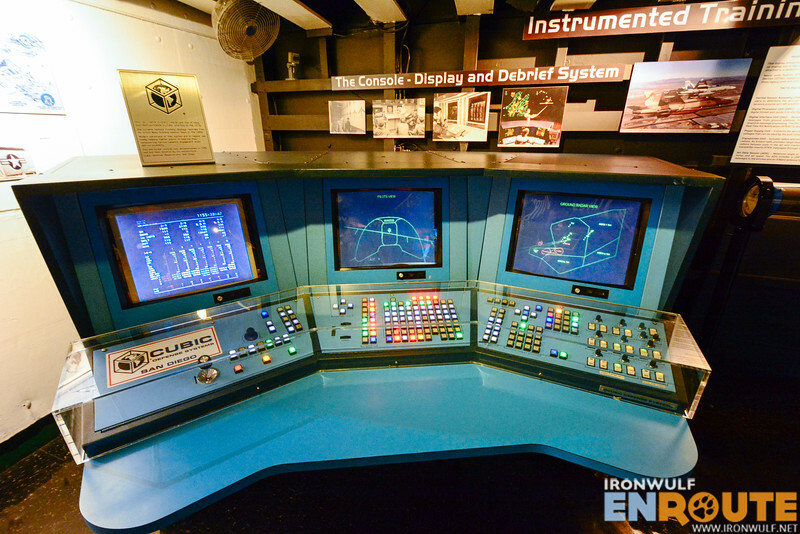 Upon entering, a headset with audio player with a self-guided tour would be provided. This would help visitors find their way around the area. 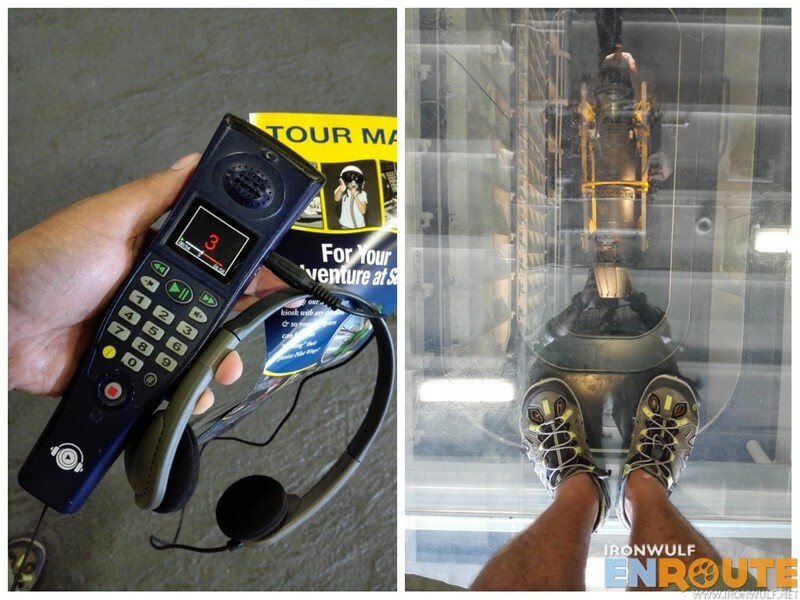 And I must say, if you go through the audio tour thoroughly, it would take a whole day. 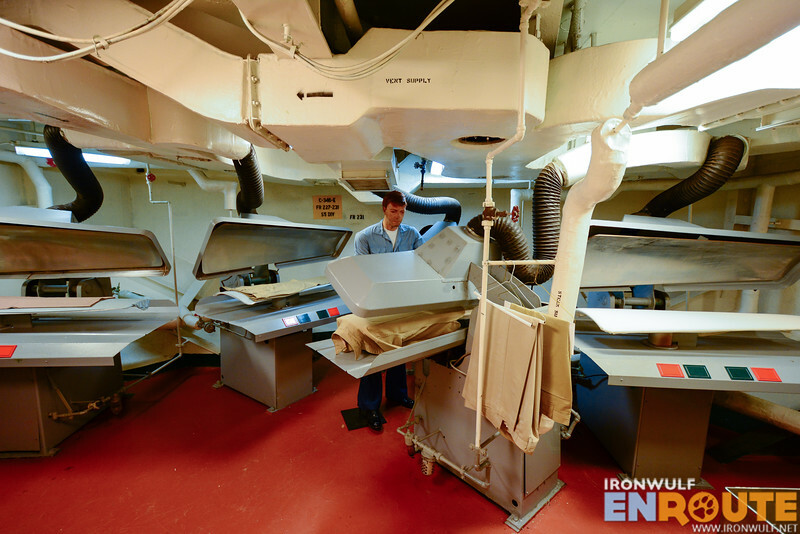 There are 60 exhibit locations within the ship. 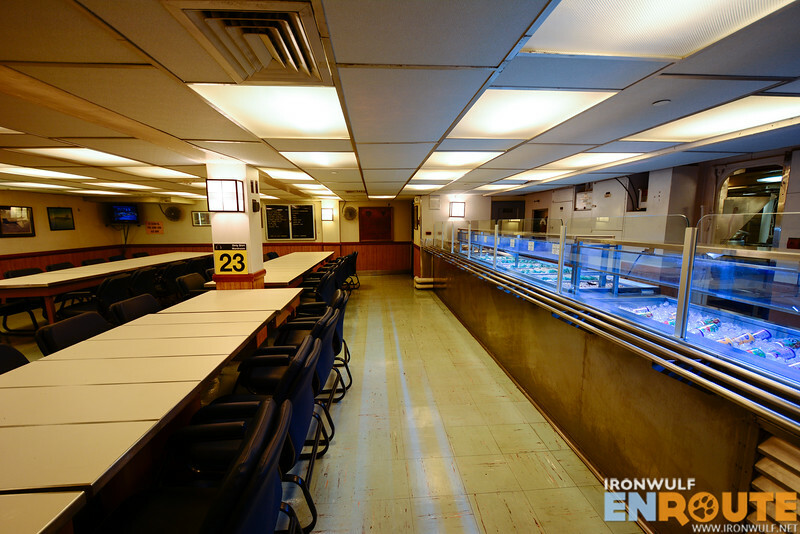 Through its networks of complex corridors and multi-platforms, we were led to hundreds of cabins showing the living conditions of the people who lived in the USS Midway. 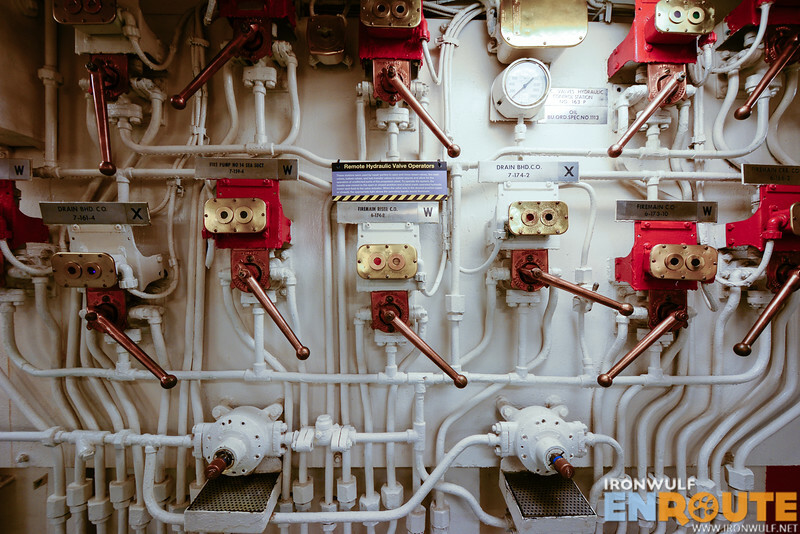 For a newcomer like me inside a vessel like this, the details just sparks imagination on the day-to-day goings of the crew here. 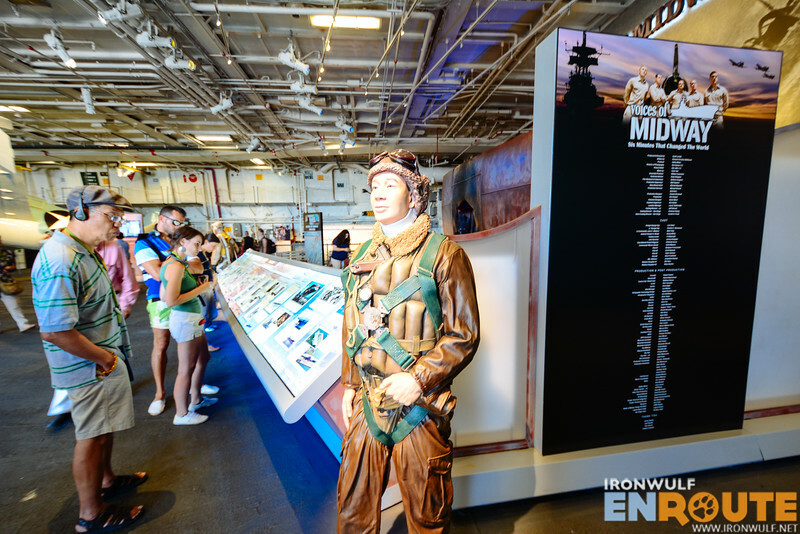 But for the veterans who visit, there may be a tinge of nostalgia as they relive their lives on board the USS Midway or a similar military sea vessel. My favorite part of the tour here is seeing the aircrafts on board. From the different jet planes and helicopters. There are even opportunity to sit in the plane cockpit and get inside the huge carriers that I only got to see in the movies. It was a fun and educational tour that lasted up to 3 hours for us. 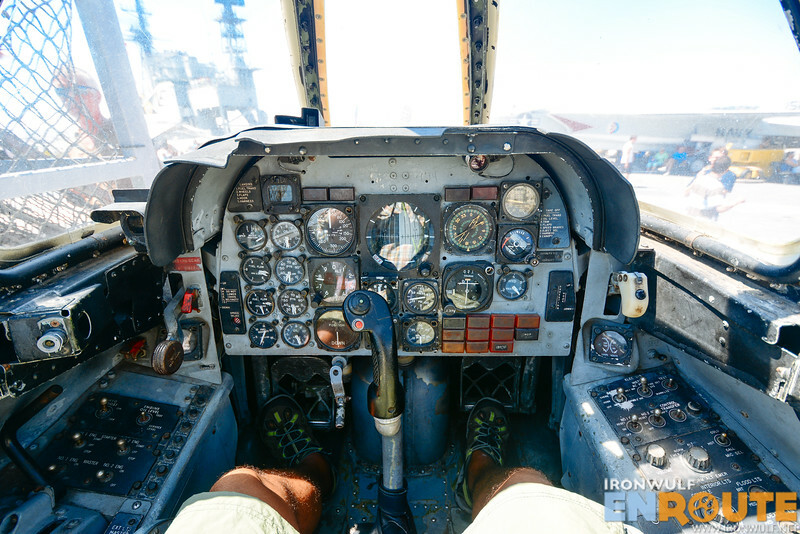 I don’t think we have seen everything there is to see but I certainly saw the immensity and the power of the US military through the USS Midway Museum. The ship also had strong historical connections with the Philippines as half of its air combat fleet were offloaded temporarily at Subic Bay and Cubi point in 1975 during their operations in Vietnam. 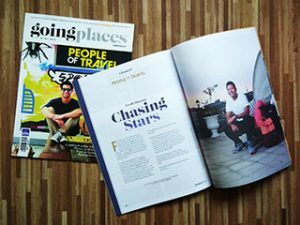 The ship made several connections even plying the seas of Palawan. It was in 1991 when the USS Midway had its final deployment and it was in the Philippines when around 20,000 military personnel were rescued from Clark Air Base after Mt Pinatubo erupted. 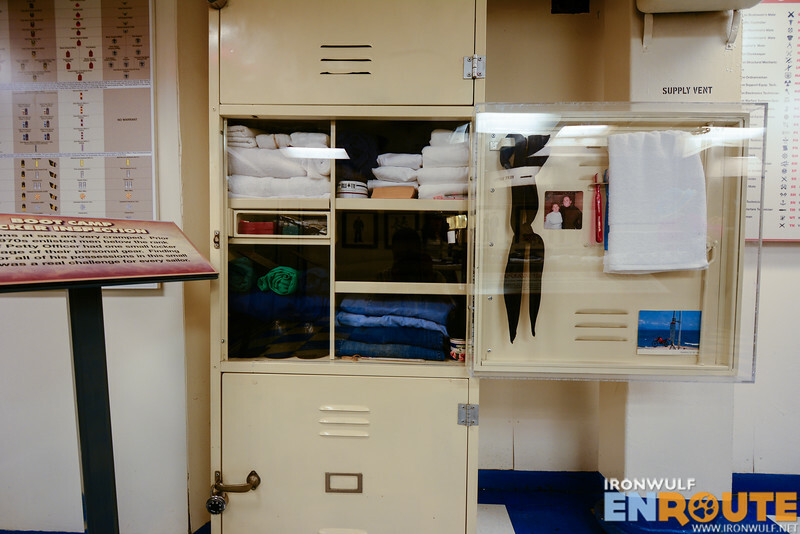 That Philippine connection made USS Midway more significant for a Filipino, after all, it was their last mission before the Midway was decommisioned.